Starting from pre-existing relations among university members and after a preliminary meeting held in September 1988, the Santander Group was established in December of the same year. The inaugural meeting took place in Murcia where the Agreement Document and the regulations for admission of new members were approved. Four years later, in 1992, the Group transited into an Association under the Spanish law. Along with the participation in individual European programmes, SGroup has developed its own independent mobility schemes for both students and administrative staff which give a flexible framework for exchange over the whole range of subjects and functions associated with its member universities. Some university members of the Group have played an outstanding role in mobility programmes and their participation has been distinguished with European awards such as Erasmus prizes. The Group has been involved in most European Community mobility programmes such as SOCRATES/ERASMUS, ALβAN, LEONARDO, LINGUA, TEMPUS-PHARE and other. These exchanges have involved about 4000 students each year. Since its inception the Group has not limited its activities to the European Area, but it has developed relations with a number of other regions of the world including the USA (Agreement with the University of California at Berkeley, Agreement with the State University of New York), Latin America(Alβan Programme) and Africa (UNESCO Unitwin Chairs). The Santander Group participated also in the SIGMA "Group of Groups" European Universities' Network Project: the representatives of the six Groups of European Universities (COIMBRA Group, COMNET, EUROMETROPOLE, SANTANDER Group, UNICA, UTRECHT Networks) agreed to request support from the European Commission in order to participate in the "assessment of the results of cooperation activities carried out between European Universities - in particular within the framework of the ERASMUS Programme". Professor José María Ureña - Founder President of The Santander Group, born in 1950 in Zaragoza. In 1977 he was invited to join the young University of Cantabria in Santander to develop Urban and Regional Planning in theSchool of Civil Engineering. In 1986, José Maria Ureña was a candidate for Rectorship promoting a programme to transform the University into a modern outward-looking European University with an international, interdisciplinary and professional approach. His election and subsequent term of office brought many changes. The University ofCantabria might still be one of the youngest and smallest Universities in Spain but today it is a thriving modern institution which is held in high esteem. Rector Ureña was determined to put his University on the international map. In the spring of 1988 he organised a meeting from which the intention of developing a European University Network emerged. The Santander Group came into being in December 1988, launched at the University of Murcia. The General Assembly of 1997 symbolised a turning point in the relatively short existence of the Santander Group. For the first time, in almost 10 years of existence, the Presidency changed hands. José María Ureña, who was the father and mentor of this network of European universities, ended his term as its first President. Manuel Esteban Albert, Vice-Rector for International and Institutional Affairs at the University of Murcia took over at the very place were the agreement for the establishment of the group was first signed in 1988. Professor Manuel Esteban Albert, 2nd President of the Santander Group, received on the 17th October 1998 an Honorary Degree from the State University of New York at the international symposium "On Charting Partnership for a Global University" on the occasion of the 50th Anniversary of this American university. The conference started on the 14th October 1998 in New York and ended on the 17th in Albany at the State Capitol Building with the convocation ceremony for the presentation of a Doctor Honoris Causa to 19 representatives from universities all over the world. Manuel Esteban was the sole Spanish representative to receive this award. Manuel Esteban Albert, who was President of the Santander Group for four years, ended his mandate on the 30 June at the General Assembly 2001 held in Poznan and hosted by the Adam Mickiewicz University. The General Assembly failed to elect a President on that occasion therefore, the Executive Committee was appointed an Acting President. Prof. José Ferreira Gomes was Acting President until the election of a new President at the General Assembly 2002. 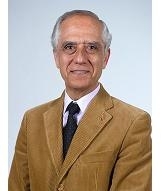 Professor José Ferreira Gomes, 3rd Santander Group President, was Vice-Rector of the University of Porto since 1998, but also President of the Portuguese Chemical Society since January 2001 and Member of the Executive Committee of FECS – The European Federation of Societies of Chemistry. Professor Jesús María Sanz Serna, 4th Santander Group President, was unanimously elected President of the Santander Group at the General Assembly in Bari, on the 15th and 16th March 2002. Born in 1953, received a “Licenciado” Degree in Sciences in 1975 and a PhD in Mathematics 1977 both from the University of Valladolid, Spain. He further obtained MSc in Numerical Analysis at the University of Dundee, Scotland in 1979. His first tenured position (1981-1982) was held at the University of the Basque Country. 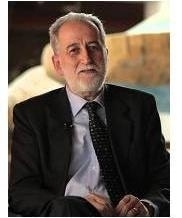 From 1982 he was full professor at the University of Valladolid and Rector since 1998. His main research interest lies in the numerical solution of partial differential equations. He has authored almost a hundred research papers in international journals and two books; member of the editorial board of more than a dozen of international journals. He has supervised fifteen Ph.D. theses. He holds the Dahlquist Research Prize for the best Spanish scientist, the Research Prize of Castille and Leon and the Medal of the Academy of Sciences of Spain. 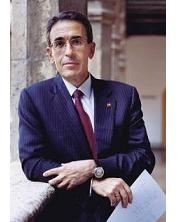 He is Vice-President of the Spanish Royal Society for Mathematics. He is deeply committed to the idea of a United Europe. Professor Dr. Stefan Jurga SG President between 2004-2008; Vice-Minister of Polish Ministry of Science and Higher education 2005-2007; born in 1946, professor of physics. The main field of his scientific activity is nuclear magnetic resonance. At Adam Mickiewicz University in Poland he holds a position of Head of Macromolecular Physics Department. A member of several academies, scientific associations, research councils and committees such as for example the prestigious Saxon Academy of Sciences in Germany. In 2002 he assumed a position of Vice President of the International Scientific Association „Groupement Ampere”. He was granted many international fellowships and awards, to name some the most important, at the University of Liege (Belgium), University of Illinois in Urbana-Champaign (USA), Max Planck Institute for Polymer Research and University of Mainz. A visiting professor at the Cornell University and North Carolina State University in USA, at the University of Pretoria in the Republic of South Africa, at the Centre of Atomic Research in Saclay near Paris. He has published numerous scientific papers, delivered over 70 guest lectures at international institutions, schools, and conferences. He supervises many Ph.D. students with whom he publishes in the world renowned scientific journals. 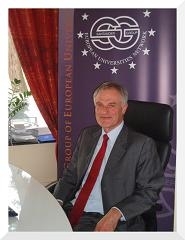 Prof. Stefan Jurga has held a wide range of responsible functions in the Polish higher educational system. In 1990-1996 he was Vice Rector and in 1996-2002 Rector of Adam Mickiewicz University of Poznan. During his term of office among others he significantly developed University, contributing to the dynamic growth of the new university campus Morasko. Moreover, he was very active in supporting cross-border co-operation with German European University Viadrina (Frankfurt on Oder), which resulted in establishing a common research and teaching institution “Collegium Polonicum” in S? ?ubice, Poland. In 1999-2000 he was chosen President of Conference of Rectors of the Polish Universities and Vice President of Conference of Rectors of the Academic Schools in Poland. Since that time on he has chaired the Accreditation Committee of that Conference. He also presided the Bologna Process Research and Development Group established by the same Conference in 2004. Professor John Tuppen, SG President between 2008-2012; born in 1949, is currently professor of geography at the Université Joseph Fourier in Grenoble, France. He received his B.A. and Ph.D from the University of Southampton, England, and was also awarded a post-doctoral degree at the Université Jean Moulin – Lyon III in France. Professor Tuppen has taught both at the undergraduate and postgraduate level in Britain and in France, working predominantly in the fields of regional planning, economic geography and globalization and tourism development. He has been appointed professor and held senior management positions in both these countries. At the Joseph Fourier University he was Dean of the School of Geography, before becoming Vice-Rector in charge of International Relations (2002-2007). Between 2005 and 2007 he was also Vice-Rector responsible for coordinating the international policy of the four universities of Grenoble. Professor Tuppen has also undertaken other responsibilities. He has been Vice Chairman of the International Geographical Union Study Group on Early Industrial Regions, while currently he is a member of the French National Univerities’ Council (Geography section), part of the editorial board of the journal ‘Géocarrefour’ and acts as an expert evaluator for the European Commission. Much of Professor Tuppen’s research has been related to the analysis of different spatial characteristics of France’s contemporary society and economy, particularly with respect to questions of regional and urban development and the economic impacts of tourism. He is a member of the PACTE (Politiques Publiques, Actions, Politiques Territoires) research laboratory which combines researchers from the Université Joseph-Fourier (Grenoble 1), the Université Pierre Mendès-France (Grenoble II) and the French Research Council (CNRS). His research activity has resulted in over 80 academic and scientific publications, including four books. He has also worked extensively on producing articles for the Encyclopaedia Britannica. He was elected President of the Santander Group in June, 2008. Dr. Peter Goggin, 1st Secretary General of the Santander Group passed away on 28th May 2003. Peter was Director of the European Office of the University of Bristol. Dr. Goggin played a very important role in the creation and development of the Santander Group in the early years. He was one of the founders of the Santander Group, and one of the first members of the Executive Committee. The draft of the Statutes and Internal Regulations of the SG were one of his many contributions. Professor Mike Patrick, 2nd Secretary General of the Santander Group, was a Senior-Lecturer in Engineering at Exeter University. Given his engineering background, Professor Patrick was able to develop and edit the Santander Group's first web-site, which was hosted at Exeter University. Following the end of Peter Goggin's term of office, Professor Patrick was elected as Secretary-General of the Santander Group in 1995 and continued as a member of the Executive Committee until 1999, when the post of Secretary-General was handed over to Professor John Macklin. During this time Professor Patrick worked with Jose Maria Ureña and Manuel Esteban Albert as Presidents and Lucilia Adriana Fontes da Fonseca as Executive Secretary. In 1996 Professor Mike Patrick was appointed as Joint Director of the European Office at Exeter University, a post he held until retirement in 2001. Professor John Macklin, 3rd Secretary General of the Santander Group, was Pro-Vice Chancellor and Cowdray Professor of Spanish at the University of Leeds and Secretary General of the Santander Group, left the University in 2001 to take up the position of Principal and Vice- Chancellor at the University of Paisley in Scotland. John, who had been at the University of Leeds since 1988, worked closely with the European Office from its inception acting as its co-director. In 1994 he was made a Comendador de la Orden de Isabel la Católica by King Juan Carlos for services to Spanish culture and was instrumental to the setting up of the first Instituto Cervantes in the UK - located in Leeds. Throughout his time in Leeds, John was a strong supporter of the Santander Group, and his good humour was always on display at General Assembly meetings. John has been replaced as Pro-Vice-Chancellor by Professor Alan Pearman who is Professor of Management Decision Analysis in the Leeds UniversityBusiness School. Alan became later member of the SG Executive Committee. Professor Victor de Kosinsky, 4th Secretary General of the Santander Group, was professor of Hydraulic Engineering at the University of Liege. Before his retirement from the academic world in 2000, Professor Kosinsky was also Co-Director of LHCN Hydraulic Research Laboratory (B), visiting Professor to the Imperial College of Science & Technology of the University of London (UK), visiting Professor to the School of Engineering of the University of Rabat (Morocco), founder and former President of the European Water Resources Association EWRA (EUR), President of the Belgian Water Research Centre CEBEDEAU (B), Secretary General of the International Water Resources Association IWRA (USA), Chairman of the Belgian Group of the British Institution of Civil Engineers (B/UK), member of the Board of Directors of Wallingford Hydraulic Research Centre (UK). Since 1985, Prof Kosinsky has been active in European education and training by collaborating as Expert Evaluator with the European Commission and other European agencies in many occasions. He was Secretary General of the Santander Group from 2004 to 2008. Gemma Castro was the first SG Executive Secretary until 1992. In 1990, she started the International Office at the University of Cantabria and in 1994 she became the Director of the Office. Ever since, she has been responsible for all mobility activities and programmes in the field of education, while participating and coordinating European programmes such as Alfa, Tempus, Tempus Tacis, Erasmus, Erasmus Mundus and Atlantis. Lucília Fonseca was born in the Portuguese city of Oporto. Her language skills include Spanish, English, French and Italian. She studied French and English Literature and Language, with a specialization in Translation, at the University of Oporto from 1990 to 1995. She also has a Master degree in “Interdisciplinary Analysis of the European Construction” by the Catholic University of Louvain-la-Neuve, in Belgium. From 1992 to 1993, she studied at the University of Bristol under the framework of the Erasmus Programme. She had the opportunity to go back to Bristol in the year 1994 in order to complete her traineeship towards her first degree. During this period, she worked at the European Office of the University of Bristol with a grant awarded by the COMETT Programme (the predecessor of the Leonardo Programme). She started working at the Secretariat of the Association Santander Group, as Executive Secretary, in 1995, at its founding University of Cantabria based in Santander. 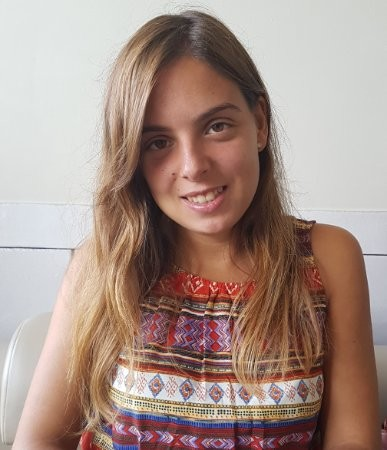 In 1997, with the first change of President, the Secretariat relocated at the University of Murcia where Lucília continued working as its Executive Secretary. In 2001, by decision of the General Assembly, the Secretariat of the Association moved to Brussels where it should find its permanent ground. 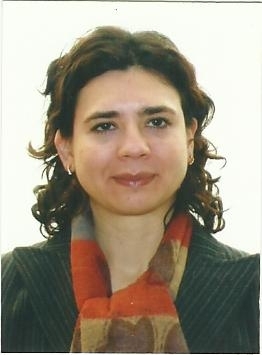 Lucília contributed to establish the new office in Brussels. In October 2003, she moved back to Murcia and worked in the management of a project called “Listen to Europe” that had the objective to disseminate the European Union’s Social Policy. She currently works in the International Relations Office of the University of Murcia. 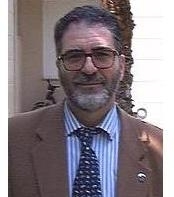 César Álvarez Alonso was the Executive Secretary from 2003 to 2007 under the presidency of both J. M. Sanz Serna and Stefan Jurga. He holds an M.A. in Law, M.A. in Political Science and Public Administration, M.A. in University Management, and J.D. in Law and PhD in Political Science and International Relations. He is a Research Scholar at the Institute for Global Law and Policy at Harvard Law School and Chair of the "Internationalization and Innovation in Higher Education". 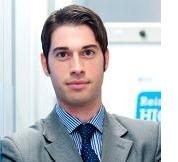 César is also Chair and Steering Group Member of the Strategy and Management Expert Community at the European Association for International Education. After working for the SGroup in Brussels, he became Advisor to the President of the Spanish Rectors Council. He has served in a number of roles both at international and national levels in advisory groups and executive positions such as the Bologna Follow-Up Group, the US-Spain Fulbright Commission. He was Observer of the European Union to the EUALC process, and member of the Board of Trustees of High Level Councils of the Spanish Ministry for Foreign Affairs in his capacity of Director of Institutional and International Relations of the Governmental Foundation for the Internationalization of Universities (Universidad.es-SEPIE). He has also been consultant in higher education in Dubai and Central Africa. Wioletta Węgorowska-Mosz MA in Russian and English Philology. She has postgraduate diplomas in the European Project Management from the University of Poznan, and Knowledge Management in Public and Corporate Organisations from the Warsaw School of Economics. She specialises in competence management and skills development. 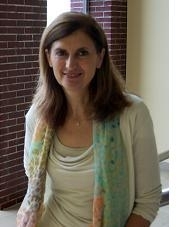 She has been in charge of the Santander Group in Brussels since the Spring of 2007 responsible for the initiation and the co-ordination of international projects, representation of the networks’ members in at international fora, the organisation of specialised workshops, seminars and the financial management of the Group. Previously she worked for five years as an International Project and Training Specialist at the Centre for European Integration at AMU in Poznan, Poland. Mariana Sousa is from Porto, Portugal. Studied Communication Sciences, did a Master in Economics and a post-graduation course in Marketing Management. Has been working in many different fields, mainly in communication agencies and international relations projects. She's helping the SGroup with the administrative support, financial tasks and internal communication issues. Bengt Nilsson - If a Lucky Charm had a face it would be Bengt Nilsson’s, a true internationalist, scholar, entertainer, mentor and friend. Bengt was a music enthusiast as a teenager, member of a jazz quartet and at the beginning of his career still too young to be admitted into the dancehall where the band should play. Showing early signs of his international character he managed to bend the rules and passed the guards at the door. The career was a successful one only until ”Rock’n Roll destroyed the market demand for good old jazz and swing. Born the son of a train driver, Bengt changed direction travelling along other tracks. He jumped onto the train of academia leaving from teaching a small town primary school to the Lund University Teacher Education, where he finished a doctoral degree. But this was only the beginning of a great journey. Some decades later we find Bengt heading the International Office at Lund University where he developed a unique international network. His skills in the field were sometimes considered ahead of their time finding obstacles with the old traditional scholars. People accused him of being a serious threat to Swedish academic standards by pushing the boundaries of anglofication too far. This was of course only a small challenge for Mr Nilsson. Mr Nilsson structured a model for internationalisation, which was based on a bottom up process. He wanted the teachers and the academic staff to take the drivers seat, motivated by the academic content and quality of a partnership and exchange agreement. This would guarantee a high quality level of the exchange programmes for students. He didn’t agree with the mixed cocktail agreements, which were based on a chancellors meeting, making friends at international occasions around the world. His platform suggests close contact with those acquainted with the curriculum and course content. It is only when the teacher is involved, motivated and committed to the objectives of exchange programmes that internationalisation, success can be accomplished. The model chugged along quite free from trouble at The Lund University, but still, Mr Nilsson was not satisfied. After taking a deeper look into student exchange he realised that only a small fraction of the student population and staff would ever be involved in international mobility. What could be done? At this particular railway junction, a new university was being built. The Vice Chancellor of Malmö University asked Mr Nilsson to give a hand, which he was more than willing to do. He was given the opportunity to start internationalisation from fresh. The challenges for the new Malmö University were enormous. This suited Mr Nilsson fine, because he has always looked for new challenges. At Malmö University thinking, outside the box was allowed and even encouraged. Mr Nilsson reflected here on the small numbers of students involved in internationalisation, and came up with a splendid contradiction, Internationalisation at Home. The need for educating the globally illiterate students is even more obvious in a student population with a high proportion of students from socio-economic weak backgrounds, immigrant backgrounds and first generation students. Internationalisation at Home is a success. The concept flew over and around the world faster than any high speed orient express, faster than Mr Nilsson was used to travelling. He was invited to universities all over; he has given hundreds of presentations on IaH and the Malmö Model. To finish off, he organised a major conference on IaH at Malmö University in April 2003. Today IaH is embedded in Malmö University policies. It has developed during the years, and will develop more. Typically with ideas from Mr Nilsson, he is not a selfish man. Someone advised him to take a copyright on the concept which he couldn’t consider digesting. «The whole idea with IaH is for everybody to share it» says Mr Nilsson, on his way to new projects down the already travelled tracks of internationalisation. Today Mr Nilsson is formally a pensioner, but it does not prevent him from working with what he loves most. But now as the free consultant, that is Bengt Nilsson International. What happened to the musical career? Don’t worry; you can still enjoy Bengt Nilsson on the piano in Malmö University Jazz Quartet. Eildert Bruining joined the Santander Group in 1991 and immediately made an important impact. He has since given generously of his time and energy to the Group and made many personal friends. His achievements in the field of student mobility led to the award of a special SG medal at the 1997 Liaison Officer's meeting in Patras. Left seldom a moment for frowning! The Secretariat of the Santander Group moved to Brussels in May 2001, after being in Spain since its creation in 1988. Our first address was 36 Rue Breydel, 1000 Brussels. Then we moved to 26 Avenue Palmerston, 1000 Brussels and since 2006 our head office is at 119 Rue Stassart, 1050Brussels, where we have ample office accommodation and a meeting room.